Urban spaces are designed by architects, landscape architects and engineers and, for the most part, used and experienced by non-designers. These manmade spaces have been conceived as “Places”. More than walls, streets and trees, they are outdoor rooms for people to move, talk, see and experience: They are the “Place” where life happens. Sketches and sketchbooks can be used as a way to record these “Places”, beyond the traditional perspective cityscape or ornamental object drawing. 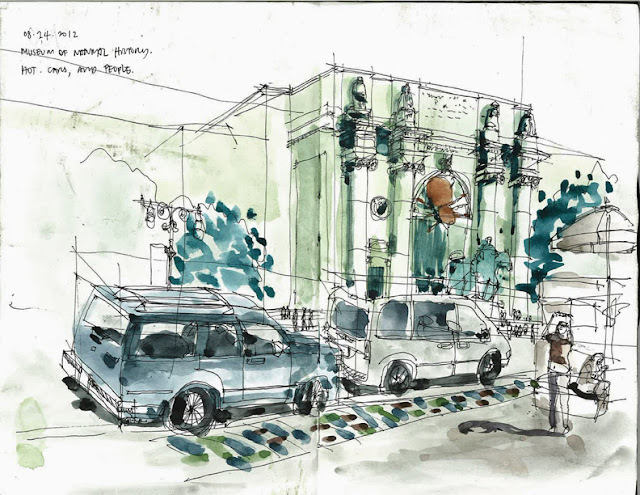 Regardless of skill level (something that may take a while to develop) a sketcher can begin to experience “Place” and compose richer, more personally meaningful drawings by understanding the role of spatial structure, personal recollection and observation in the sketching process. Connect: Walk around the space. Understand the patterns, forms and urban elements, including people, void space and structures. Collect: Record your impressions of the space informally through words, mental mapping, thumbnail sketching, sequence sketching or other “reportage” formats. Compose: Soak it all in. Talk it over with another sketcher. Start to sketch the space as a “Place”: A record of your experience of it. (This can be done in groups of 2 or 3 if needed). Participants will be given examples of how different elements work in urban spaces and different ways of recording initial impressions. A short explanation session will begin each activity. At the end of the session, rather than laying the sketchbooks on the ground, each sketcher will talk about their impressions and techniques. Learn the spatial components of urban space. 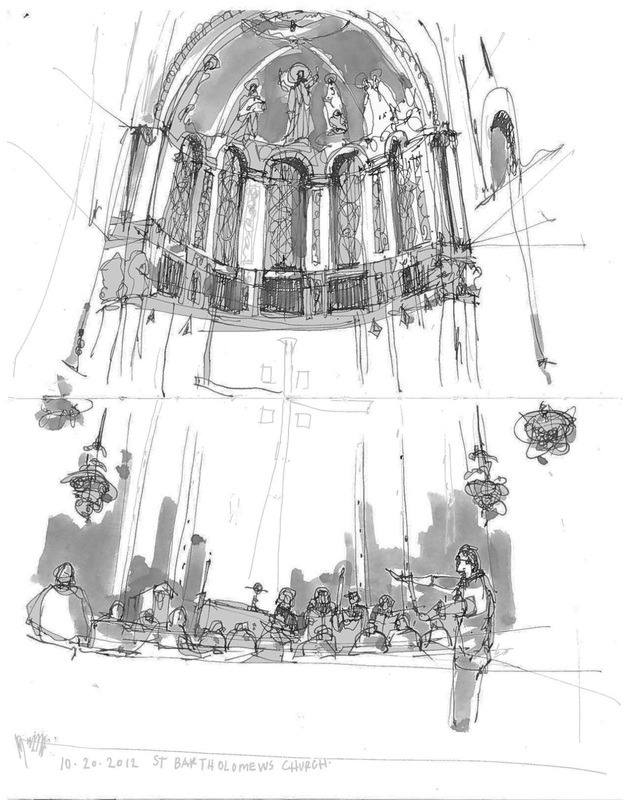 Learn various sketching techniques to record initial impressions of “Place”. Understand how to frame and compose a sketch to reflect their individual impressions. Share with others their impressions and techniques. 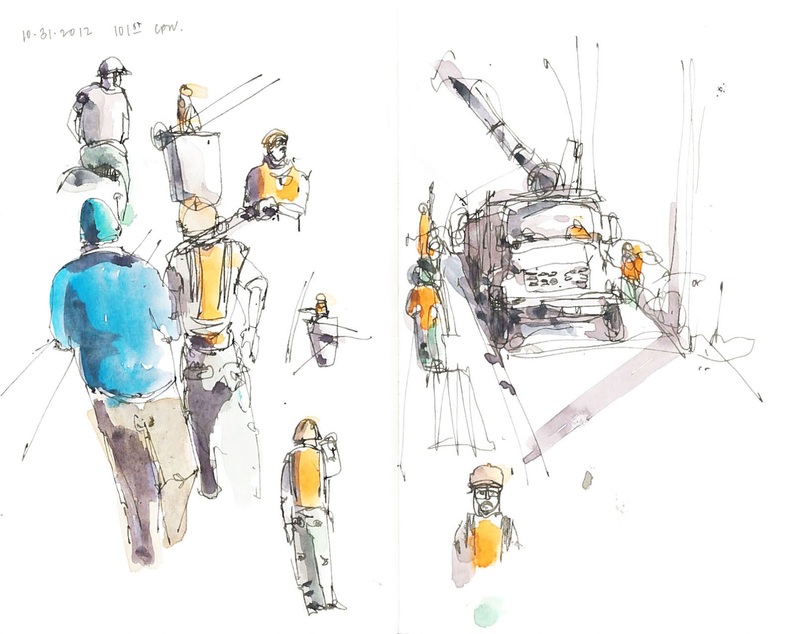 Supplies are simple, a sketchbook and whatever you usually use to sketch.